First, a major affront. Let’s start with that: a ‘bread bag’ for 38RMB. Charging for bread isn’t unheard of in this modern day and age. But if it’s not coming for free, they better be some transformative carbs. The bread at Together is very simply not. It’s shamefully edging on airplane roll. But it’s from there – were you so foolish – that the meal takes off and transports you to a faraway place. 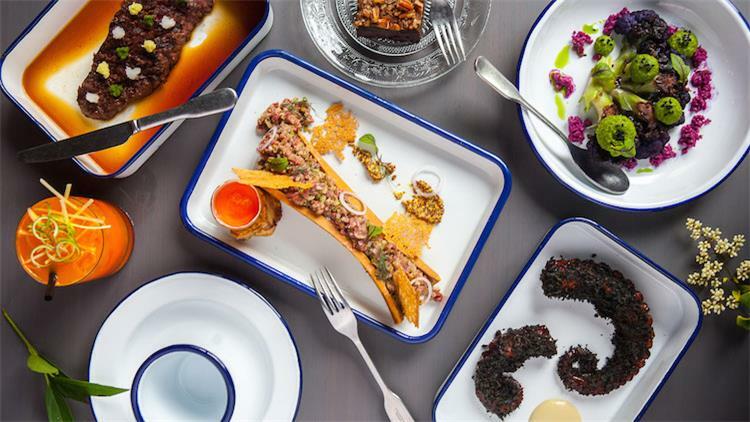 The new restaurant comes from the same partners behind The Commune Social, Shanghai-based architecture and design firm Neri&Hu and Singaporean boutique hotel and restaurant brand Unlisted Collection. 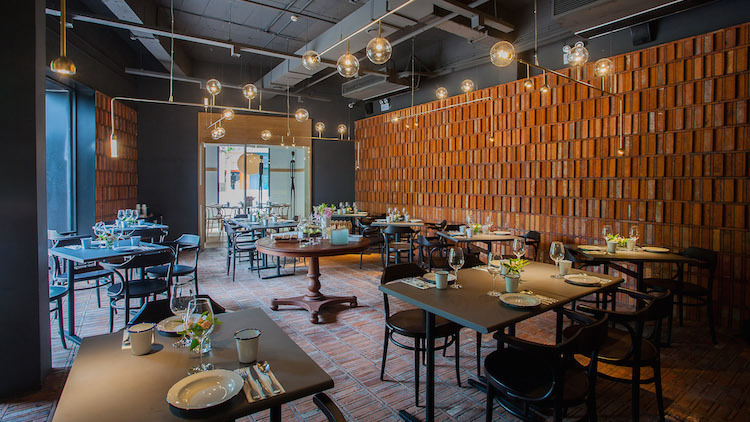 Neri&Hu’s involvement means that the intimate space, tucked just back from the street, is gorgeous – minimalist but with warm and stylish touches like elegant brass lights hanging from the ceiling and red brick walls and flooring. that might sound. Yu seems solidly in her element, dishing out bold flavours in mixed bouquets of sweet, salty, sour and umami. On one visit, firm but tender octopus tentacles come coated in gochujang – sweet, spicy and tasting a bit like rice cracker snacks from 7-11, in a very good way. A dreamy ume-miso glazed salmon melts in the mouth but not without leaving a bit of tang from salted plum. On another evening, sweet unagi arrives set atop fresh cucumber and smear of truffle. Beef tartare is prodigious and served as one might bone marrow, with an egg yolk drizzled over it tableside. Black garlic and toasted almonds in a side of endives and radicchio balance out the vegetables’ bitter edge. A side of ‘grain rolls’ would make a better bread basket – spicy, nutty little ingots of black rice wrapped in steamed cabbage with a swipe of gochujang and sprinkled in olive oil. You’ll want to pop them down like fun-sized chocolate bars. And then there is actual dessert. 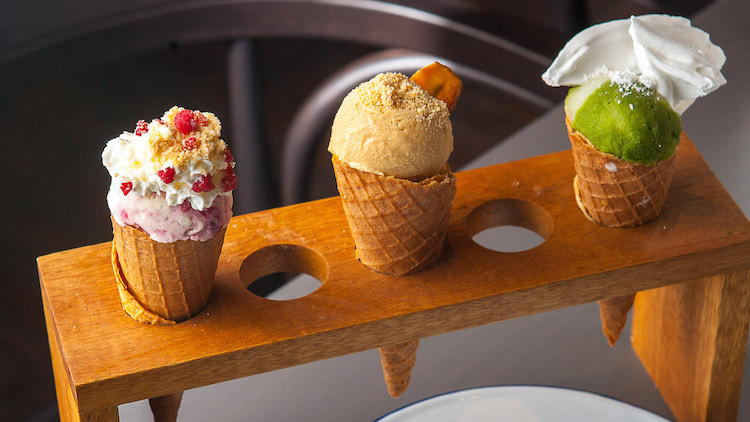 Kim Melvin, the architect behind The Commune Social’s killer dessert line-up, has created a gorgeous rotating roster of ice cream and rustic, home-style cakes. Basically Banoffee pie in a cup or a cone, the salted caramel ice cream with a torched, caramelised banana is reason enough to come. Can a five-star review start with an overpriced bread basket? 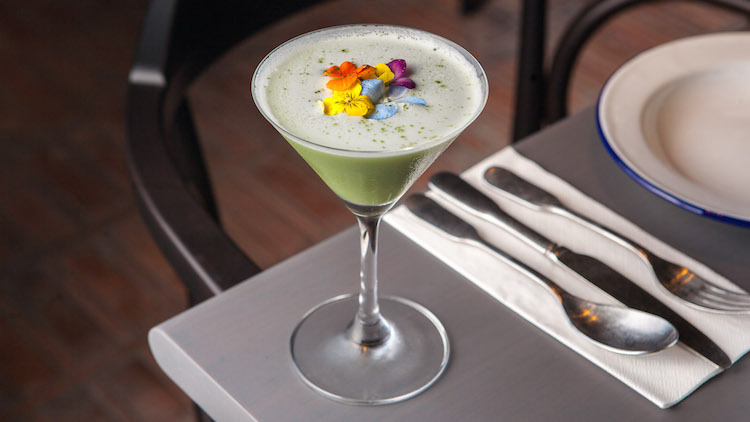 Only when the rest of the evening kills it with inventive, utterly delicious dishes.